Judging by the latest entry in the popular comic-book series, Spider-Man will never run out of enemies (or sequels), as long as his creators mine the rich material of mad scientists, brilliant technology, and unusual human-monster conjugations. After such super-villains as the Green Goblin and Doctor Octopus, in the new movie, "The Amazing Spider-Man," the costumed superhero now faces yet another genius gone wrong, Dr. Curtis Connors, who transforms himself into a giant lizard. The movie once again reiterates the origin of Spider-Man — haven't we been there before? — updating it with new actors playing the few principal parts, a really impressive laboratory, and even more spectacular effects, stunts, and camera work than in the previous films. As usual, the story focuses on the adolescent angst that made the original comics so popular, and touches lightly on the problem of identity that troubles the comic-book character and drives so much literature, high and low. It also fulfills the youthful fantasy of revenging oneself on tormentors and winning the affection of the prettiest girl in the senior class. 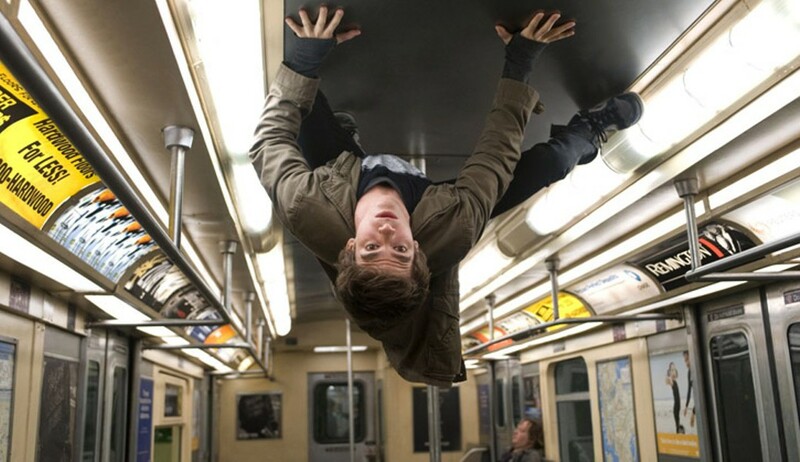 This time around, the nerdy Peter Parker (Andrew Garfield) endures a really violent beating from a bully in his high school, which emphasizes his vulnerability and his isolation from his peers. The son of a scientist, raised by his Uncle Ben (Martin Sheen) and Aunt May (Sally Field), Peter finds his late father's notes on the genetic experiments he conducted in collaboration with Dr. Curt Connors (Rhys Ifans). The discovery leads him to Connors, who continues the work for a private company, attempting to mingle human DNA with that of other creatures to cure disease, prolong life, and, in part because he lacks a right arm, repair damaged tissue. Wandering around Connors's laboratory, Peter suffers a bite from a genetically altered spider, which of course once again transforms him. In this version, he manufactures his own webbing and invents a mechanical method of deploying it. Pretty much repeating the earlier works, he then embarks on the familiar course of adventure and revenge, humiliating the bully who beat him up, chasing after bad guys, and searching for the man who killed his uncle. With the help of Peter's notes, Dr. Connors, desperate to complete his work and hoping to regenerate his lost limb, precipitately injects himself with his own mixture of reptile and human DNA. The injection succeeds only too well, re-growing his arm, but also turning Connors into a giant lizard and in the process apparently upsetting his already precarious psychic balance — as usual, it doesn't require a great deal to derange a movie scientist's mind. As he uses more and more of his compound, he grows larger and larger and crazier and crazier, finally attempting to release it as a gas all over Manhattan, with the apparent goal of lizardizing the rest of the world, something Spidey must stop. The picture features all the characteristics we've learned to expect from its genre — car chases and crashes, explosions, the destruction of portions of New York City, hand-to-hand fights in midair over Manhattan, and so forth. It displays all the technical magic of the modern blockbuster to a high degree, especially in showing the sheer exuberance of Peter Parker's discovery of his spider powers, swooping and swinging through the canyons of the city, with numerous thrillingly vertiginous setups and angles. Andrew Garfield plays Peter Parker rather like Tony Perkins in "Psycho," displaying a whole arsenal of tics, twitches, quivers, and stammers, now and then mumbling incomprehensibly, a most annoying performance. As for Rhys Ifans, he rises above the occasion, growling and laughing maniacally as he sets about his reptilian mission and chews up Manhattan. Fans will be delighted to know that the open ending guarantees another sequel, another villain, and of course, more arachnoid antics.